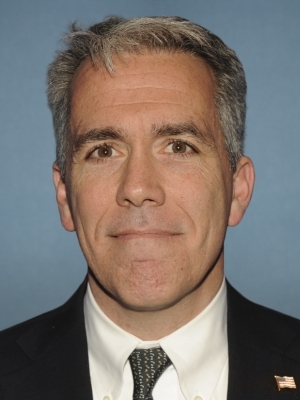 Info Joe Walsh has dedicated his professional life to service. He has advocated on behalf of a wide range of public policy issues and causes, most notably advancing market-based solutions to education reform and urban poverty. Joe began his career working in inner-city Chicago teaching high school dropouts basic academic and job skills; he advanced the issue of school choice while with a free market think tank; he ran a Chicago-based privately funded school voucher program which gave high school scholarships to low-income students; he helped launch an effort to get fiscally conservative state legislators elected in targeted states; he raised funds for the nation’s leading school choice organization; and he continues to build support for an international charity which uses education and micro-enterprise to deliver Nicaraguan children from poverty. For the past couple of years, Joe has worked with local groups focused on raising early stage investment capital for new and small businesses and entrepreneurs. He is also consulting with the United Republican Fund, an Illinois-based state PAC helping to elect Republican state legislators. Joe has a BA in English from the University of Iowa and a Masters in Public Policy from the University of Chicago. He has taught American government and American history at the community college level for a number of years. Joe has run spirited campaigns for elected office twice, first as a Republican candidate for the United States Congress in 1996 and then as a Republican candidate for the Illinois State House in 1998. As a life long advocate for limited government and a vibrant private sector, Joe is troubled by the recent rapid growth of government spending and involvement in our lives. This concern has convinced him to move back to his hometown of Barrington, IL, and run for the U.S. Congress. He intends to be a loud, forceful voice against this expanding government which will stifle economic growth and bankrupt our children and grandchildren. Joe was born and raised in the heart of the Eighth District, growing up in a family of nine children. He and his wife Helene have five children. 02/08/2020 US President - LBT Primary ?? ?